I realized it’s more than half a year since my last post on this section. In any case, let me go to my story. Today, my daughter and my nephew had a road trip along the San Isidro-San Ramon-San Vicente Road. Along the way, I also visited my relatives near Bisita, Brgy. San Isidro. It’s interesting that the highway markers still reflect the marker for the former Bacon town. I just hope they don’t removed it. The house on the background is my late grandfather’s house at San Isidro, Bacon. The tree in front of it is where I would play with my cousins back then. This picture brings back a lot of memories. I dropped by the City Hall by coincidence. I wasn’t planning it but my daughter and nephew saw the playground and requested that they play around. After 30 minutes, I went up to check the department who is in charge of the barangays. I didn’t find it, instead I found the office for the local tourism, which is headed by Sheena Dioneda. Though I didn’t have an appointment, she politely entertained my questions. I also took some pictures of my road trip today. Definitely, it will find its way to, either, this site or the Wikipedia article of Sorsogon City. Belated happy easter, everyone! I was in hibernation last week and just spent some time with my family. I hope you enjoyed your vacation, too. Hmmmm.. I realized upon editing this page that I never provided an update for February. I’d say, this first quarter was really a slow season for me considering that I knew guests would start trickling in searching for places to visit in our beloved city. 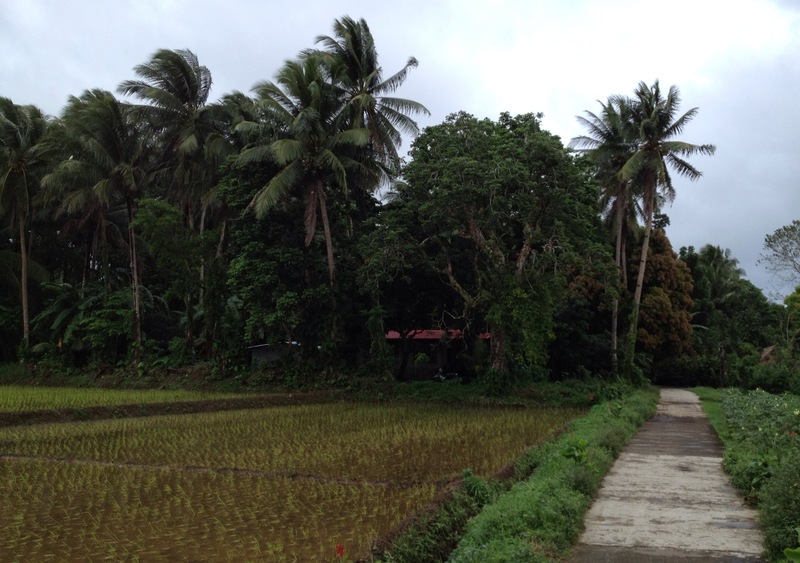 However, I was able to publish the 4-part series about driving to Sorsogon City. First quarter of 2012 is a new milestone for this site. For the first time, March hit 1,000 more hits than the previous month and the average daily visits jump by 30 to 175 hits daily. Previously, I was always thinking how or what next steps should be taken, but nowadays, I just want to grow the interesting articles in the site and play it by ear. The house on the background is my late grandfather’s house. The tree in front of it is where I would play with my cousins back then. This picture brings back a lot of memories. Our monthly stats since November 2010. 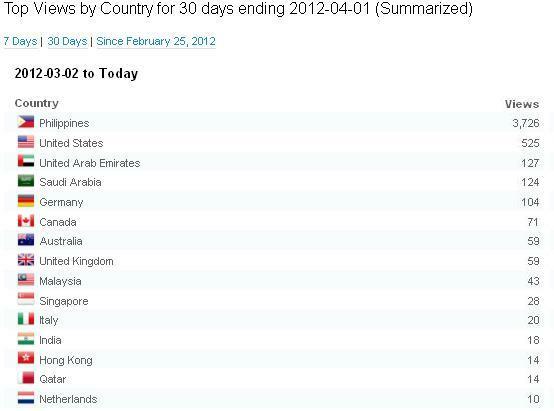 As of March 2012, there were 5,400 visitors compared to 4,200 on the previous month. 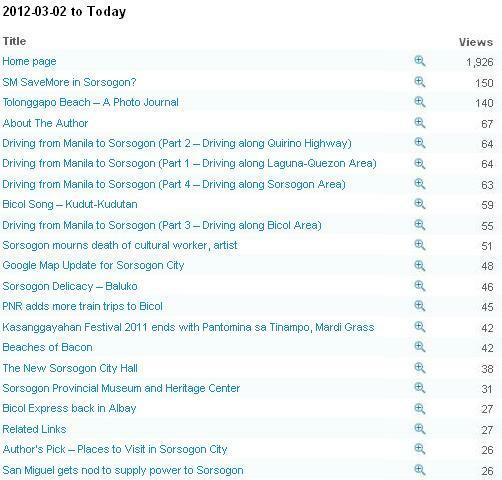 Articles about places of Sorsogon start coming out, most probably in preparation for the summer travel. It’s interesting to note that the youtube video I posted, Kudut-kudutan is on the top 3 while a historical article about the late cong. Peralta is also part of the top quarterly post. It’s interesting that the top post for March is about SM Savemore, and that branch won’t open until March 29. This feature started only on March. It interests me that Germany is one of the top countries. I know that we have high number of Filipinos in Europe, but I am not sure if these guests are really from Sorsogon. So far, contributors are not yet coming in. I am still hoping that other authors would contribute their own articles, just like Rappler. Still thinking what steps should be taken…. In the last couple of days, this blog is not posting any related links to Facebook anymore. This is to test if Facbook has impact on the no. of visitors. Let’s see in the coming weeks. Update as of 2/12/2012: So far, there’s no direct correlation of the site’s presence in Facebook. However, I have to admit that if it wasn’t for the said site, people won’t get to know this. Starting yesterday, I am posting articles without any push to my Facebook account. This is just to test the waters how much traction does the search engines have. Finally, one reader (I assume) asks for assistance on his papers on Bisakol. 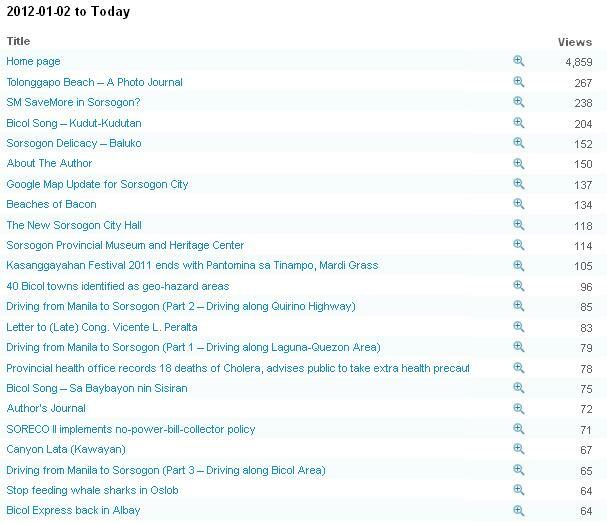 I am trying to get in touch with one Sorsogon locale who worked on his paper for the same topic. Hopefully, they can collaborate more and produce a wide-ranging paper about Bisakol. Update: My cousin oblige to share his paper. I am glad that this site plays a role on this collaborative activities. From 893 hits (29 hits/day) on January 2011 to 3,254 hits (105 hits/day) on December 2011. the site had an increasing no. of visitors. The most visited month was on November with 112 hits per day. 4,754 referrals came from the search engines, in contrast of the original plan to leverage my Facebook account. Facebook only referred 1,905 referrals. I had a chance to correspond with a couple of family members of the late Vicente Peralta. If not for them, I wouldn’t have known who the late Vicente Peralta is. I still owe them several articles that I promised. 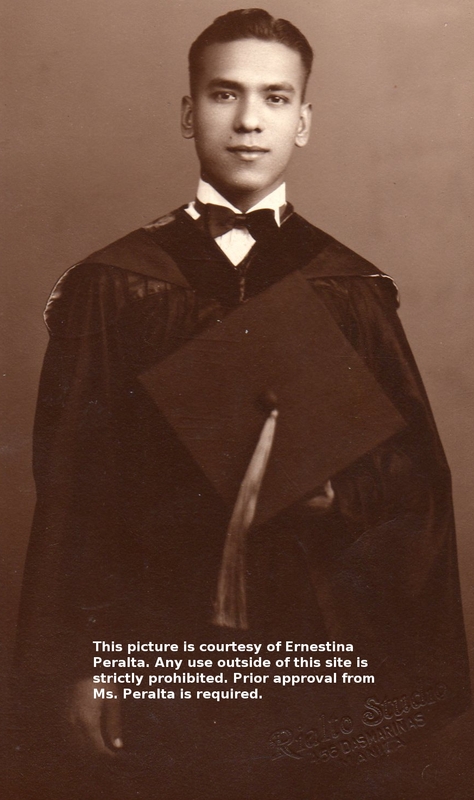 Vicente L. Peralta – A proud new laywer. A couple of family members of the De Vera’s left a message on the related article. There was one college student/reader who got some ideas from this site about her term paper. There was this one visitor who inquired about the availability of rooms in Tolonggapo Beach. I still remember my first article on the blog 2 years ago. The support of fellow Sorsoganons, Bicolanos and the rest motivate me to sustain this in the long run. Dios mabalos sa indo tabi gabos na nagsuporta sa blog na ini!!! Unfortunately, I don’t have it. Give me some time to check my friends. ok po.thank you! i need it badly cause we’re planning to go there soon.